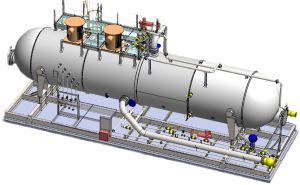 Our engineering team can provides clients with both quality and technical value. Through a broad range of mechanical, electrical and civil design capabilities, our engineering know-how enables our customers to qualify alternative sources or modify designs for risk mitigation and cost, cycle-time, and lead-time reduction. We partner with you through all stages of production, including design, design for manufacturing, integration and test. 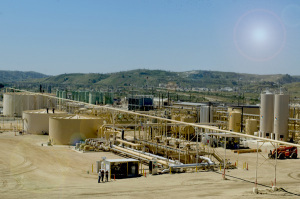 Most natural gas producers use Triethylene glycol (TEG) to remove water from the natural gas stream in order to meet the pipeline quality standards. This process is required to prevent hydrates formation at low temperatures or corrosion problems due to the presence of carbon dioxide or hydrogen sulfide (regularly found in natural gas). Dehydration, or water vapor removal, is accomplished by reducing the inlet water dew point (temperature at which vapor begins to condense into a liquid) to the outlet dew point temperature which will contain a specified amount of water. Degassing methods can be used to remove the two gases, oxygen and carbon dioxide, from the water or to reduce the respective required residual concentrations (guaranteed value to be complied with). We can reduce the salt content of the treated oil to acceptable levels by using our desalting unit designs. Al-Ibtikar can provide full EPC or EPS for the water solution or water injection pump; the shale gas hydraulic fracturing or coal seam gas requires huge qty. of water. As production levels increase, the need to address limited treatment process for the wastewater generated. Long-term sustainability will require reuse and recycling of water resources and by-product recovery while minimizing overall l waste volumes from production activities. 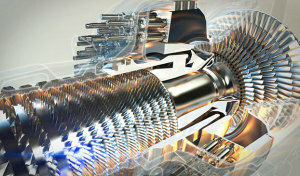 We provide the necessary solution for the power generation, Mobile gas turbine and power plant, our engineers and extensive experience consist of reliable, innovative and efficient know-how which can provide the specific needed design for the required output power, we are among a few companies to supply solutions to all areas of the oil and gas energy sector.